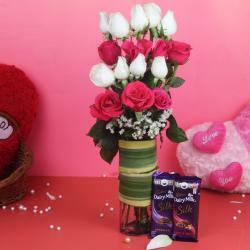 Product Consist : Arrangement of 25 Pink Roses in a Basket. A subtle arrangement of pink roses has been tucked into a basket to give it a fresh and beautiful feel and look. This is a merry gift that brings about smiles all around. This one is a good buy for all occasions and celebrations. 25 pink roses are a perfect gift for a friend who is celebrating her 25th birthday or a couple who is celebrating their 25th wedding anniversary We get this 25 pink roses basket arrangement delivered to you at midnight, or on an urgent basis or on the same day of order. 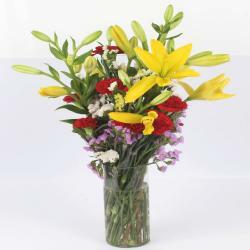 You can also avail regular delivery. Simply order our pink roses online with us. 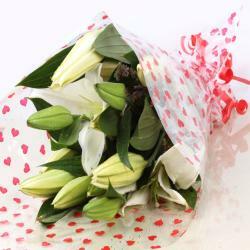 You can order them from anywhere around the world and even send the 25 pink roses basket arrangement to any place in India! Our delivery network will ensure that every occasion you plan is a grand success with a touch of elegance with these roses. 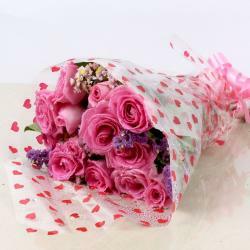 Product Consist: Arrangement of 25 Pink Roses in a Basket.